decreasing continually in the tough climate. These small producers are often in the cellars with their hands in wine one minute and in the vineyards the next. They do not have the time, necessary skills or contacts to try to sell direct themselves. Many are trying but in this world saturated with wine, few are succeeding. Their only channel is to continue to sell their wines at low prices via middle men, the wine ‘négociant’ and be part of the ‘Place de Bordeaux’ – the traditional Bordeaux stock market. At the same time we have consumers in countries such as the UK who suffer from high prices for wine (due partly to the numerous middle men) and who crave to drink authentic wines direct from living people. In addition there is a thirst for a knowledge about wine. We are too distracted for books, too busy to follow a ‘dry’ wine course. We crave a wine experience. Each wine has its own story, and it is best recounted in person by the passionate people that make it. Once one has felt the passion direct from the winemaker, heard his story (and there are often generations of stories), tramped in his or her vineyards and eaten the grapes from the gnarled vines (which themselves could tell a story or two), you are hooked. Wine is after all about what the French call ‘terroir’ and above all. With a growing number of visitors to Bordeaux (3.3 million in 2011), the combining of wine tourism and direct sales seems an obvious step. Once you personallyy know the face the wine, the enjoyment is a different experience. Worldwide there is a particular growing demand for spending short activity-packed breaks. Visit the region’s châteaux and vineyards, meet passionate winemakers, blend your own wine, sample direct from the barrel, taste a range of old vintages … there are numerous options for a fun-filled short break. There is also a SIP newsletter and blog to keep members up-to-date and a programme of winetasting events for SIP Club wine members. 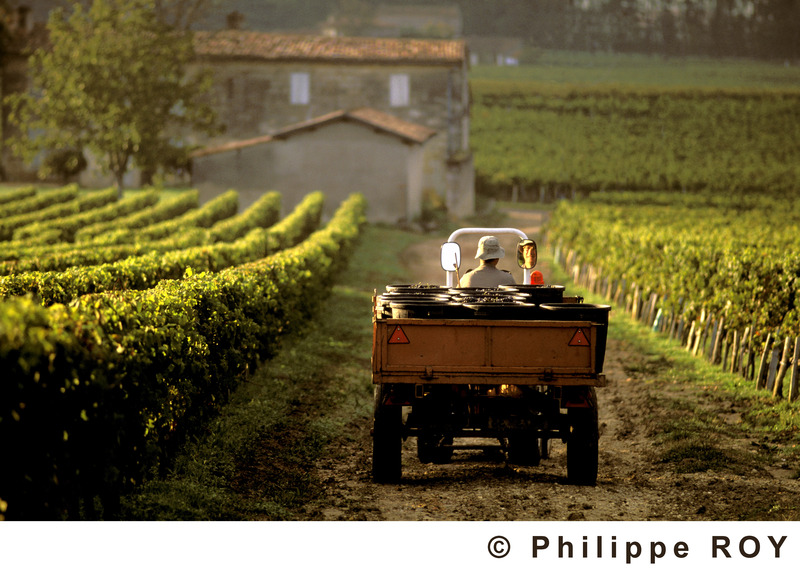 Join wine expert Nicolle Croft to visit the fabulous wine region of Bordeaux. Over twenty years of experience, enables Nicolle to open doors and organise visits that truly go behind the scenes. Her simple, informative style will put you at ease as you explore this wonderful region. Wine Tours – Visiting Wine Properties, both Grand Cru and smaller family run châteaux, Nicolle’s interest lies in meeting the passionate people who grow the grapes and make the wine. Learn about what makes a property and its wines special. Tramp round a vineyard, blend your own wine, taste wine direct from the barrel, or a range of old vintages, learn about food and wine matching with produce direct from the local market. The choice is yours. Nicolle will put together an itinerary that perfectly suits your interests and schedule. Appreciating wine is above all a personal experience. Learn about the way you appreciate wine in a fun, innovative way that will perhaps change the way you think about this fascinating subject. Do you have wine tours in the Fall?